IRS will begin accepting tax returns on January 29, 2018! ♦ Medical Offices - We will bill the requesting entity! ♦ Call us anytime! Make just one call, not dozens! Find It In Cove - Buy It In Cove Supporting Local Small Businesses We are on Facebook! Please vist our page. DonkBuilt Service Exchange is not a law firm and does not provide legal advice. "We are not attorneys licensed to practice law in Texas and may not give legal advice or accept fees for legal advice." 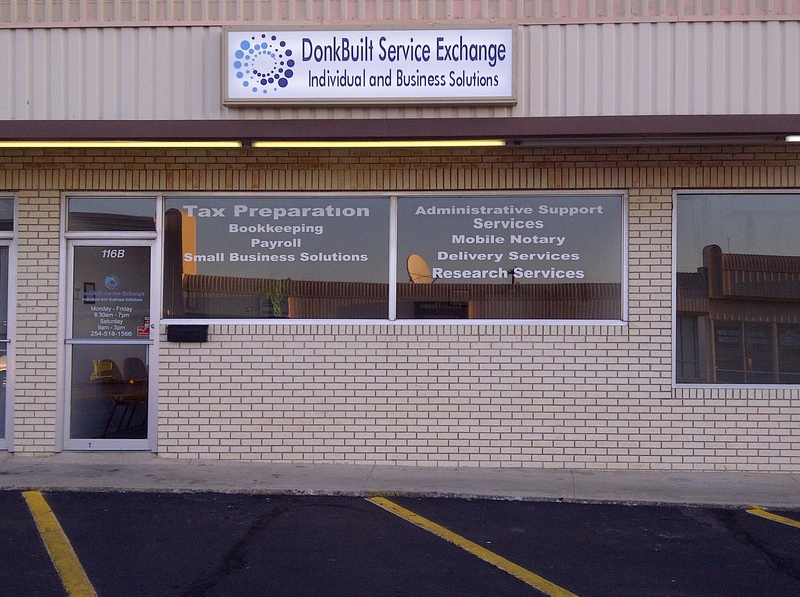 Donkbuilt Service Exchange is not a CPA firm.